While it wasn’t my first international project, working for the Saudi Arabia Solar Industry Association was a horizon-expanding experience. 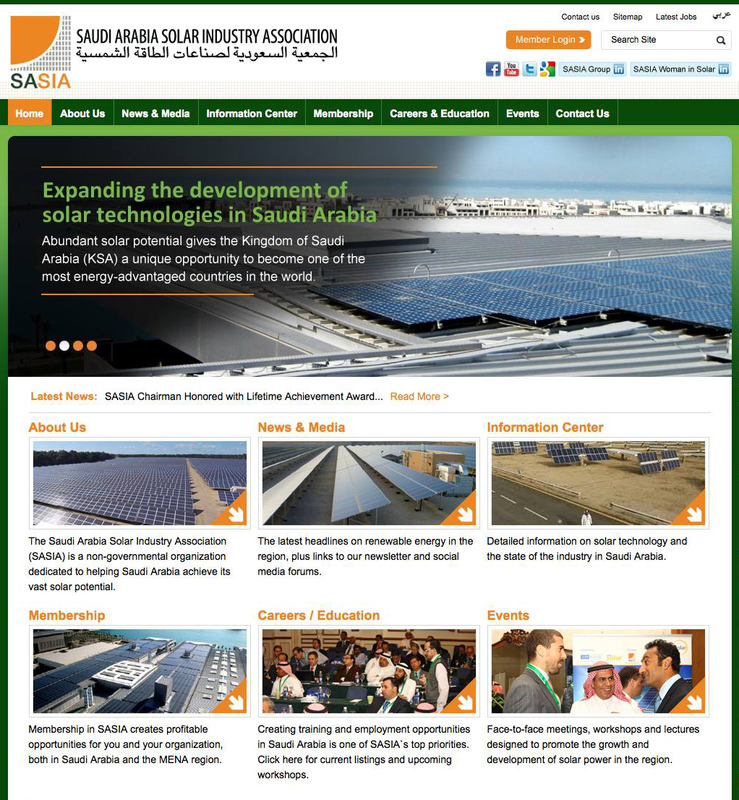 Written for a truly global audience, the site is designed to encourage connections between international solar organizations and emerging regional opportunities in Saudi Arabia and the Middle East. Check it out in English or Arabic. Posted in Sampler and tagged Green.